If you know me you know that I don’t drink tequila. The last time I had tequila I vomited on myself. No bueno. 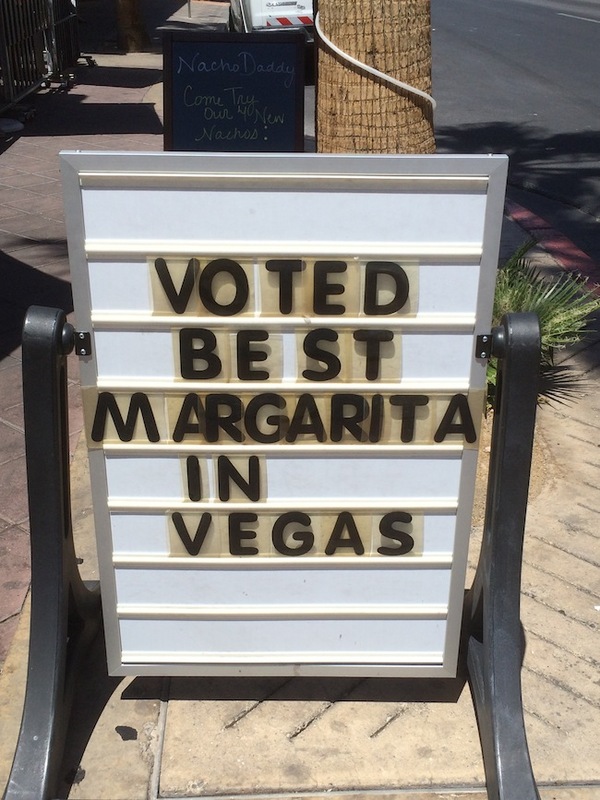 Good thing I met up with someone willing to taste test the margarita at Nacho Daddy. I needed to know if the sign was true or false advertising! With that in mind I had an ice cold beer. 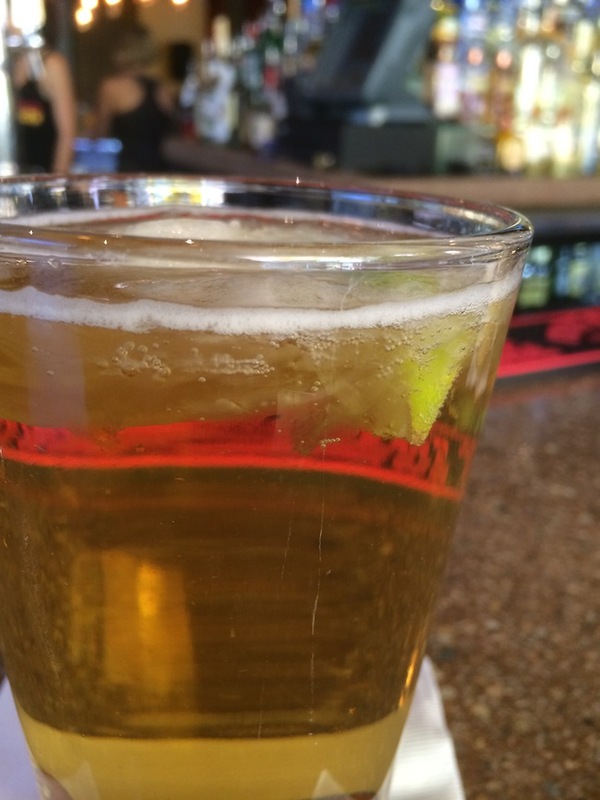 It was so cold that there was almost ice forming on the top of my beer. 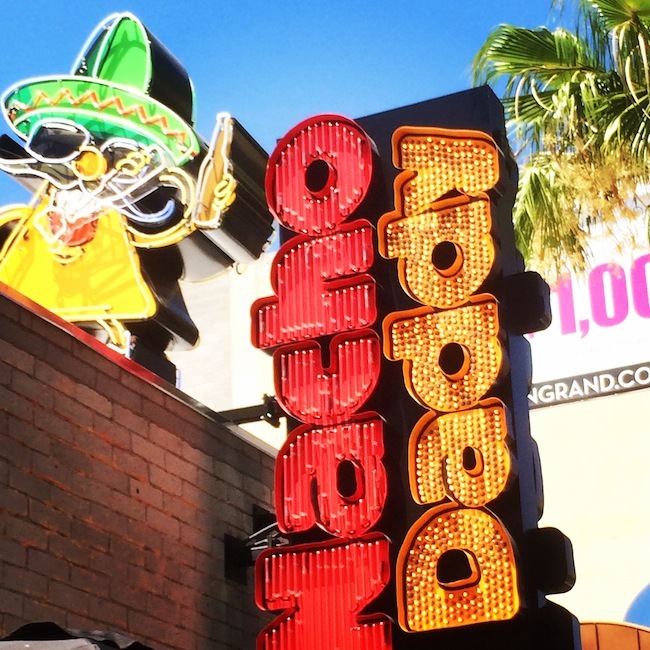 Unlike previous visits I didn’t go to Nacho Daddy to eat. It was to meet up with Gray from Vegas Solo and have a drink. Unbeknownst to either of us we found Scott from Vital Vegas sitting at the corner of the bar.